3 China, 6 bonds, Emprunt Industriel du Gouvernment de la Republique Chinoise, bond for 500 francs, also unissued provisional bond, both 1914, Railway Equipment Loan of 1922, bond for £20, and Tientsin?Pukow Railway, Deutsch-Asiatische issue, bond for £20 and £100 dated 1908 plus bond for £20 dated 1910, with coupons, F-VF. (6). 5 China, Chemin de Fer Lung-Tsing-U-Hai, 1920 Loan, 10 x bonds for 500 francs, and 1921 Loan, 10 x bonds for 500 francs, black & brown and black & green respectively, no coupons remain, mostly VF. (20). 11 China, Chinese Sugar Co. Ltd., certificate for ten shares, 1922, ornate design incorporates fields, train and ship, text in Chinese, mauve on pale green, folded, otherwise VF. (1). 13 China, Consolidated Bonds of the First Year National Loan, bond for $1,000, dated 1921, ornate border, text in Chinese on face, English on reverse, dull red on pale green, with coupons, VF. (1). 14 China, Dah Tung Cotton Manufacturing Co. Ltd., share certificate, 1948, vignette of strange looking machine, text in Chinese, seal in English, brown & yellow, VF. (1). 17 China, Imperial Chinese Government 1908 Gold Loan, 6 x bonds for £20, all Banque de l?Indo-Chine issue, all with vignette of walled city, black & green, right and bottom margins uneven where coupons cut for payment, no coupons remain, mostly AVF. (6). 18 China, Imperial Chinese Government Hukuang Railways 1911 Gold Loan, 3 x bonds for £100, all issued by the Deutsch-Asiatische Bank, vignette of speeding train, red & black, four coupons remain, mostly VF. (3). 19 China, Peking-Hankow Railway, worker saving loan of 1934, bond for 10 yuan, ornate design, text in Chinese, brown & yellow, with coupons, VF. (1). 23 China, Shanghai Land Investment Co. Ltd., certificate for shares of five taels, Shanghai 1941, company incorporated in Hong Kong, ornate design with vignette at left of workman painting a traditional house, brown, pinholes at top left, central fold, AVF. (1). 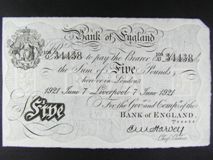 24 China, Shanghai Worsted Mill Ltd., share certificate, 1947, company incorporated in Hong Kong, ornate border incorporates two kittens at top, purple, VF. (1). 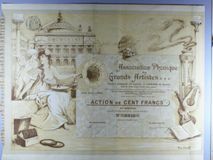 29 France, Association Phonique des Grands Artistes, certificate for one share, Paris 1906, very attractive certificate with many vignettes including, female with gramophone, cherub, records, violin and the Opera House, design by Paul Poncet, large format, brown & yellow, with coupons, AVF. (1). 30 France, Compagnie Internationale Phonique, founders share, Paris 1907, large vignettes of women, gramophone and records, large format, navy on green, with coupons, small repair to left margin, does not affect print, otherwise AVF. (1). 31 France, Groupement National de la Baie du Mont-Saint-Michel, certificate for one share, Paris 1926, very attractive Gothic style design incorporates views of Mont-Saint-Michel, blue and pale green, with coupons, AVF. (1). 32 France, S.A. Cinema National, Monopole Sud-Ouest des Films Pathe Freres, share certificate, Bordeaux 1907, attractive design incorporates views of several towns including Bordeaux and Toulouse, brown & green, with coupons, AVF. (1). 34 France, Venise a Paris S.A., certificate for one share, Paris 1899, large vignettes of landmarks in Venice, also gondolas, the company was incorporated for the Italian Pavilion at the great Paris exhibition of 1900, blue, with coupons, central fold, minor discolouration at fold, otherwise AVF. (1). 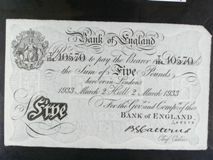 36 Great Britain, Anglican Smelting, Reduction & Coal Co. Ltd., book containing 100 certificates for twenty shares, all 1858, ornate heading, black on pink, mostly EF. (100). 37 Great Britain, Manchester Ship Canal Co., £100 registered redeemable debenture, 1927, very attractive design with vignette of ship at top, blue on buff, printed by Bradbury Wilkinson, UK revenue stamp, VF. (1). 41 Japan, South Manchuria Railway Co. Ltd., bond for 500 yuan, 1924, ornate design with underprint of oncoming train, text in Japanese, company name in English on front of train, brown, one coupon remains, AVF. (1). 42 Lebanon, S. A. Ottomane des Tramways Libanais Nord et Sud de Beyrouth, founders share dated 1896, and bond dated 1900, ornate design with small train at bottom, blue & pink, and black & pink respectively, one with coupons, both VF. (2). 44 Nigeria, Juga (Nigeria) Tin and Power Co. Ltd., 5 x bearer certificates for twenty-five shares, 1912-13, ornate border, text in English and French, black & green, with coupons, all VF. 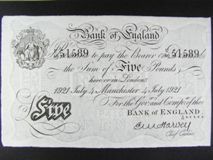 (5). 47 Peru, Republic del Peru, 7% Government Loan for 100 soles, Lima 1871, loan used for various construction projects in the port of Arica, vignettes of Peruvian arms and seated Liberty, black & green, with coupons, minor aging to paper, otherwise VF. (1). 48 Russia, 7 bonds and certificates, Société Métallurgique de l?Oural-Volga, 1896, Société Générale de l?Industrie Miniere & Métallurgique en Russie, 1897, S.A. des Manufactures de Lin et de Coton de Kostroma, 1899, S.A. des Forges et Acieries d?Ekaterinoslaw, 1895, Société Cotonniere Russo-Francaise, 1910, Compagnie Houillere et Métallurgique Novo?Pavlovka, 1898, and Tramways et Enterprises Electriques de la Banlieue de St. Petersbourg, all with coupons, F-VF. (7). 49 Russia, City of Kharkov 1911 Loan, bond for 937.50 roubles, attractive design with city scenes in each corner, lilac, with coupons, VF. (1). 52 Russia, Riasan Koslov Railway 1886 Loan, bonds for 500 marks (A), 500 marks (B), 1,000 marks and 2,000 marks, (DH 1104 a, b, c, & d), ornate border, various colours, all with talons, all VF. (4). 56 Spain, ‘Colon? Compania Transaerea Espanola, bearer bond, Madrid 1928, large vignette of airship, blue on buff, with coupons, VF. (1). 57 Switzerland, Société Immobiliere des Bains de Mer de San Stefano, certificate for one share, Geneva 1910, ornate border, blue on yellow, with coupons, VF. (1). 62 U.S.A., 8 certificates, all oil or petroleum related, Thos. A. Hendricks Petroleum and Mineral Co., 1889, Higgins-Mexia Oil Co., 1922, Calumet Petroleum Co., 1918, Tuxpam Star Oil Corp., 1918, Sedalia and California Oil Co., 1902, Altoona Midway Oil Co., 1902, Young Oil Co., 1917, and Becky Sharp Oil Co., 1902, all with vignettes of oil wells, mostly VF. (8). 63 U.S.A., Grand Junction Rail Road and Depot Co., bond for $1,000, dated 1853, large vignette of dockside scene at left, black, with coupons, VF. (1). 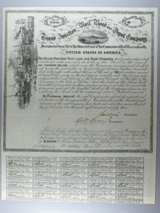 65 U.S.A., Kentucky and Great Eastern Railway Co., unissued bond for $1,000, dated 1875, attractive vignette of Boone being rescued by Kenton, black & green, with coupons, AVF. (1).